(Reuters) - London's main bourse rose as Lloyds gained after promising to return cash to shareholders and optimism prevailed over China-U.S. trade talks. But Sainsbury's lost nearly a fifth of its market value as regulators objected to its takeover of Walmart's Asda. 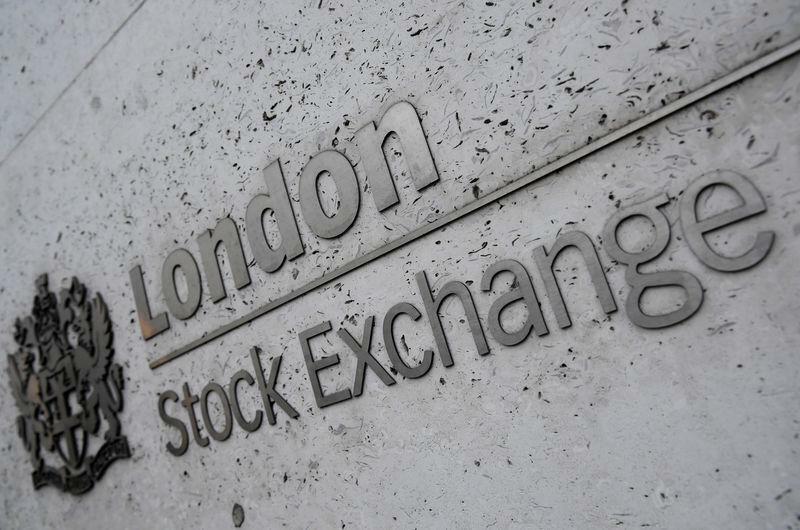 Both the FTSE 100 and the FTSE 250 ended the day with 0.7 percent higher. Stocks in Wall Street were also in positive territory as investors awaited the Federal Reserve's minutes from its latest meeting. Hopes of a breakthrough in the U.S.-China trade talks lifted spirits as U.S. President Donald Trump said he was open to extending their March 1 deadline. Lagging the main index by a wide margin was Sainsbury's, which lost 18.5 percent as Britain's competition regulator said its deal with Walmart-owned Asda should either be blocked or require the sale of a significant number of stores and possibly one of the brands. Sainsbury's stock gave up all the gains it had accumulated since the $9.5 billion (7.3 billion pounds) deal was announced and suffered its worst day in over a decade, with a billion pounds wiped off its market value. Walmart dipped more than 3 percent. Rival Morrisons tumbled 5.3 percent as well. "Sainsbury's is the squeezed middle, losing market share to discounters and simultaneously losing out to more premium brands. The worry is it has no credible plan except this merger", said Neil Wilson, analyst at Markets.com. Lloyds Banking Group added 4.7 percent on its best day in two and a half years after Britain's biggest mortgage lender raised its dividend and announced a share buyback, despite weaker-than-expected annual profit growth. Glencore rose 2.5 percent after announcing a $2 billion share buyback and an 8 percent rise in full-year adjusted core earnings. Miners, which were at an 8-month high, and financials boosted the FTSE 100 as well. On the midcaps, Acacia Mining surged 12.8 percent as Canadian miner Barrick Gold outlined details of a deal it reached with the Tanzanian government to settle its disputes with the London-listed miner. A standout faller was Intu Properties, which dropped 8 percent after it scrapped its dividend, under pressure from several retail bankruptcies. But the domestically-focussed mid-cap index was buoyed by industrials and consumer stocks as Prime Minister Theresa May returned to Brussels hoping to find a way forward for her contentious divorce deal on exiting the European Union. Among small-caps, McBride lost a third of its value after the cleaning products maker forecast full-year adjusted pretax profit to be about 10-15 percent lower than last year. Flybe more than doubled its market value after saying it had received an alternative financing proposal from a new consortium, challenging a Richard Branson-backed group that agreed to buy out the regional airline. (Graphic: Sainsbury's overtakes FTSE since Asda deal announcement link: https://tmsnrt.rs/2BIpPyu).